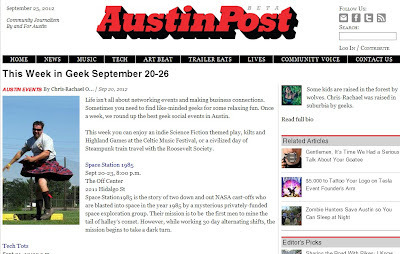 Turner's Tokens: Help Keep "THIS WEEK IN GEEK"
Let the AUSTIN POST know you want to keep the "THIS WEEK IN GEEK" Column!! Leave a comment and let them know you want to keep it whether you have visited before or just found it! !